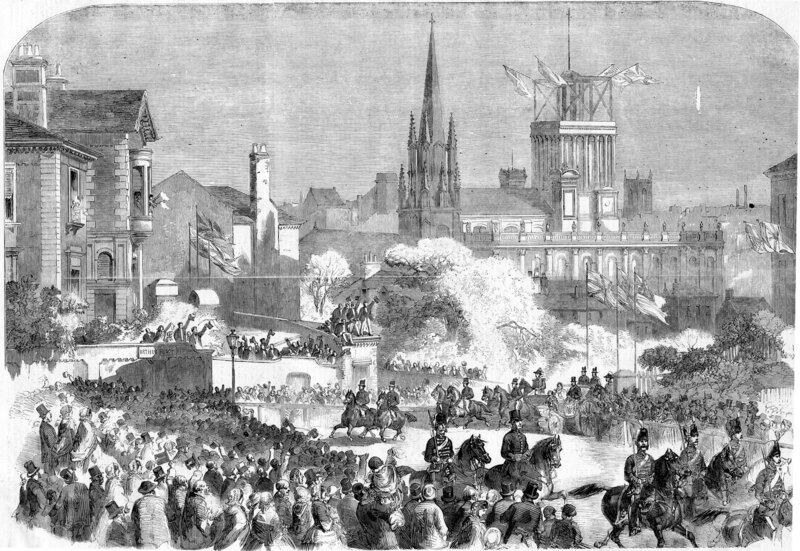 This is an artist's impression of Queen Victoria's entourage passing through Clarendon Road. Her Majesty was in Leeds to open the new Town Hall. She had stayed at Woodsley House, home of Peter Fairburn, who was Mayor of Leeds and knighted by the Queen on this occasion. The Queen was accompanied by Prince Albert and Princesses Alice and Helena. The illustration dates from 7th September 1858.